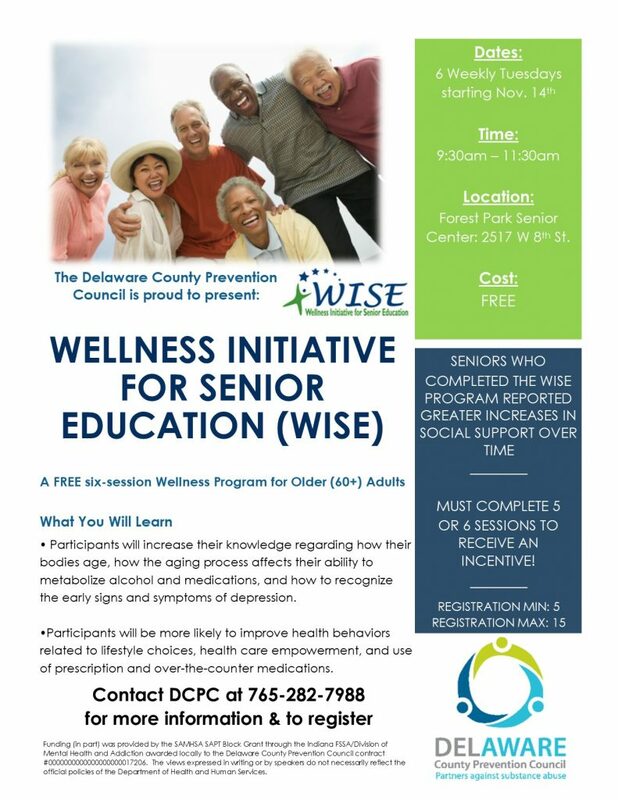 The Delaware County Prevention Council is excited to start a Fall 2017 Wellness Initiative for Senior Education Class! WISE is a FREE six-session program for adults 60 years of age and older. •Increased knowledge and awareness of issues related to health and the aging process. •Topics include discussion of risk factors and behaviors you should avoid to stay healthy. •Join us for this fun program and celebrate this exciting stage of life and all the benefits that come with it. While this program is FREE, registration is required. Please call the Delaware County Prevention Council at 765-282-7988 to register!